I offer a restringing and repair service. Restringing is usually £25 for one puppet and £9.50 for each additional puppet. 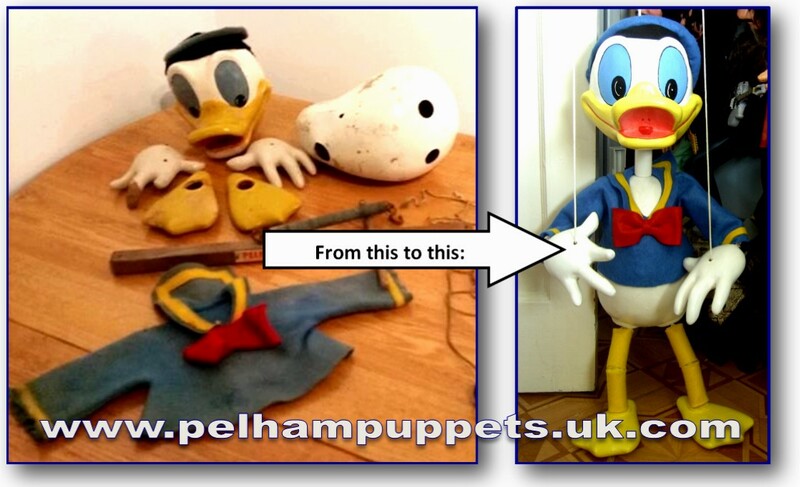 I also offer a full repair & restoration service for all types of Pelham Puppets. Please email me: david@pelhampuppets.uk.com for details. 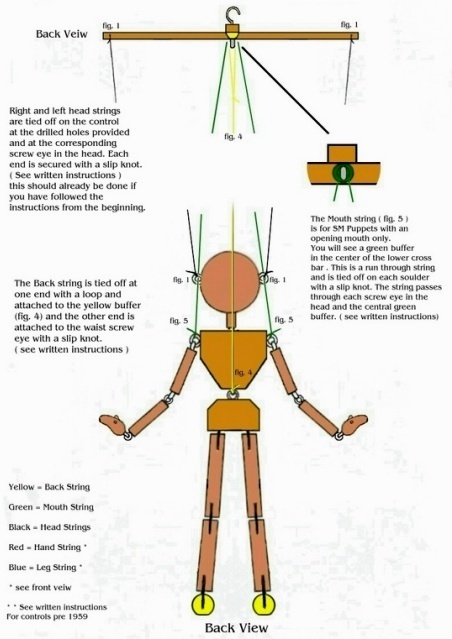 The videos below show you how to work your puppets and should you get them into a tangle, follow the video guidance carefully and you’ll soon see that untangling is not a huge task. I offer a restringing and repair service. 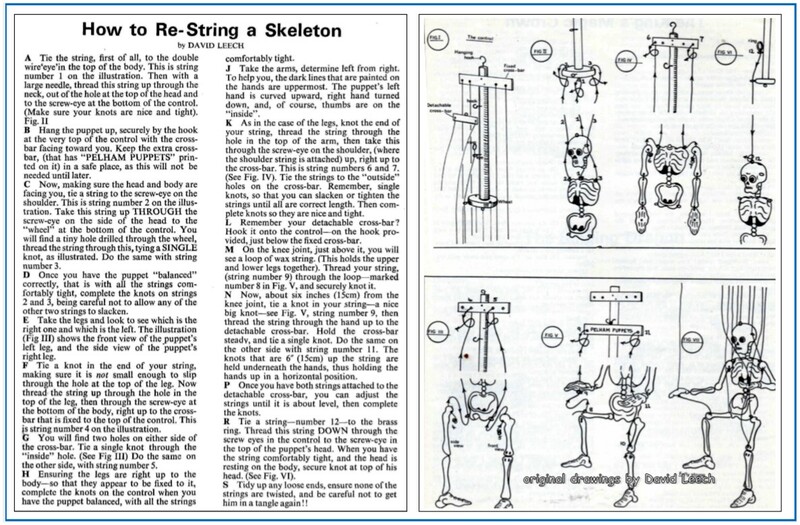 Restringing is usually £25 for one puppet and £9.50 for each additional puppet. However, please email me: david@pelhampuppets.uk.com for details. I would like to thank Keith Frederick for allowing me to reproduce thes 2 images below. 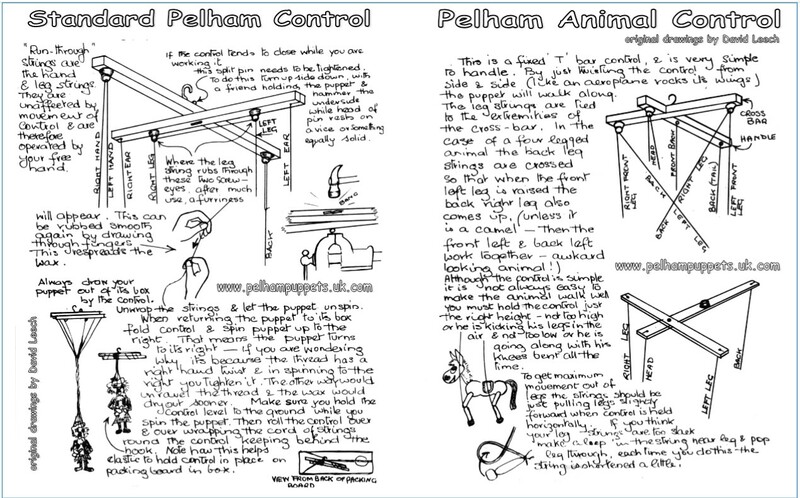 Below: Original Operating Instructions for vintage, Standard Pelham Puppets. 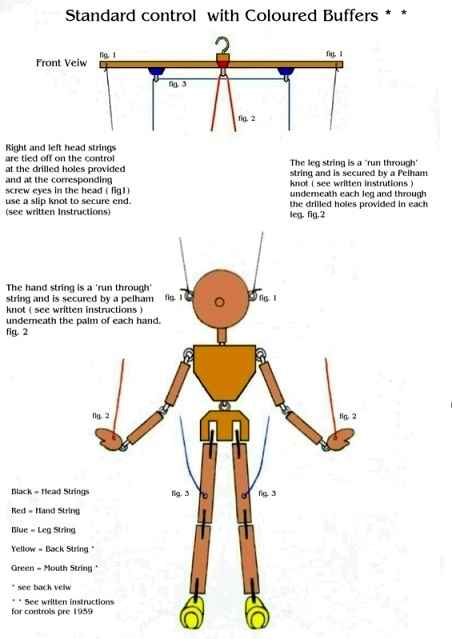 These instructions were included with each puppet sold. This section is being updated. 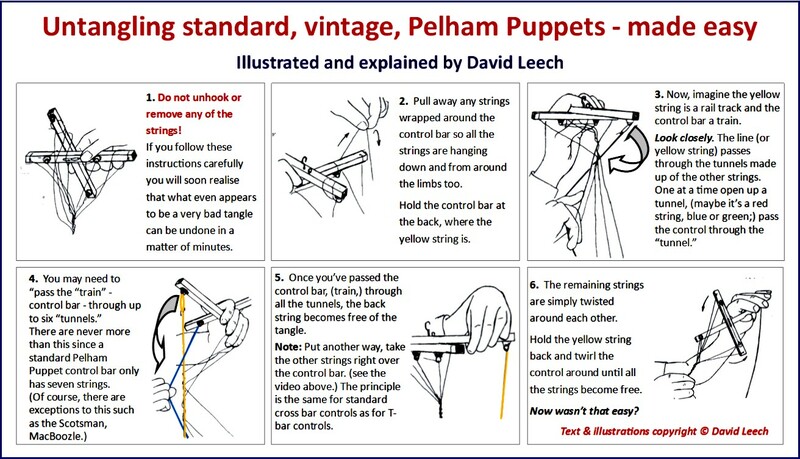 More information about using and looking after Pelham Puppets will follow soon.